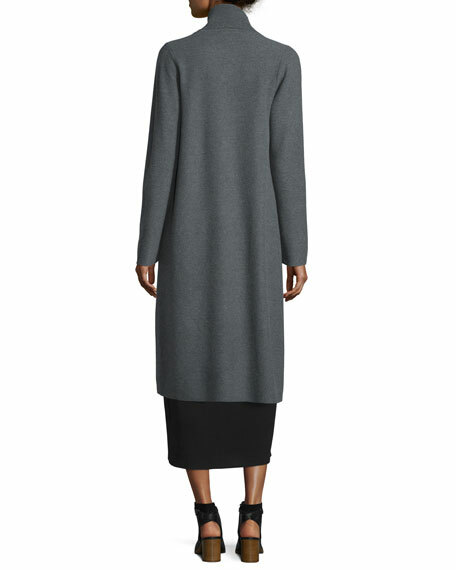 Eileen Fisher luxe wool basket-stitch coat. From the Fisher Project Collection. Hem falls about to knee. For in-store inquiries, use sku #1888857.